The most common type of sleep apnea is obstructive sleep apnea. This most often means that the airway has collapsed or is blocked during sleep. The blockage may cause shallow breathing or breathing pauses. Enlarged tonsils with redundant uvula and soft palate is the usual cause of OSA. Tonsillectomy before LAUP or UPP will give a better result in these type of patients. 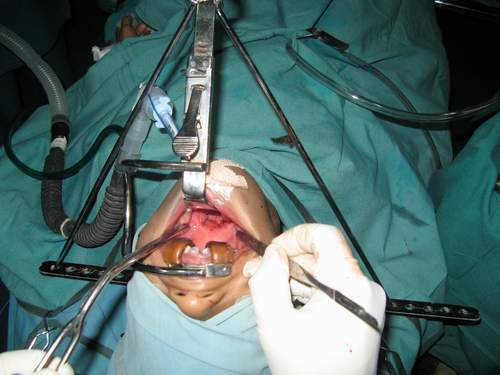 The uvulo-palato-pharyngoplasty (UPPP) and tonsillectomy are often performed as a part of Obstructive Sleep Apnea surgery. The UPPP procedure shortens and stiffens the soft palate by partial removal of the uvula and reduction of the edge of the soft palate. Most patients who snore, but do not have apnea should enjoy a dramatic decrease in loudness of snoring after UPPP.